Check out our adventure at horsetooth rock! Anna and Wade are some of the raddest people. They met back in middle school and have been dating since high school. They said somewhere along the lines, they sort of just knew that each other was the one. Wade proposed last year when he and Anna were hanging out. He told her that he was going to the other room to get his phone charger, and he really grabbed the ring. When he came back into the room, Anna was distracted by her phone so she didn't notice that he got on one knee and was holding the ring! When she saw him she said "NO WAY!" but obvi she meant yes. 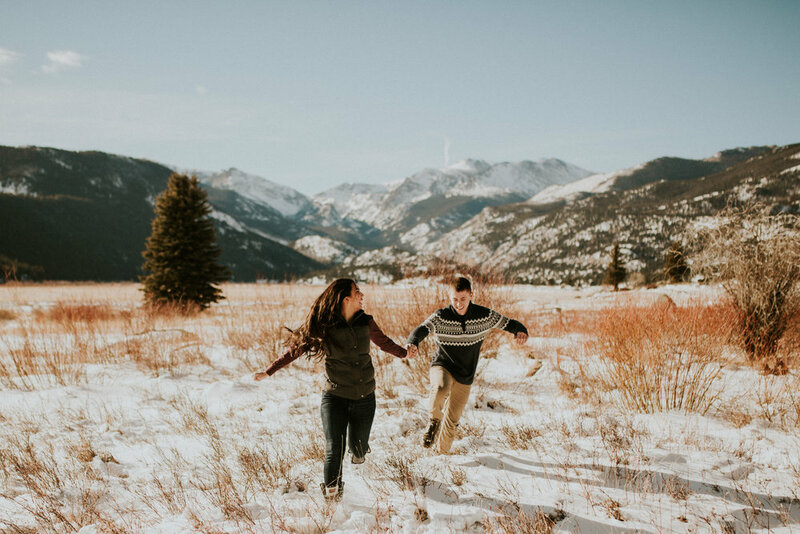 We all flew to their home town, and took their engagement photos where they grew up! We watched the sun come up at Horsetooth rock, and then we headed to Estes park and hung out on Bear Lake!